Plumbing problems come far and wide. The idea of “plumbing” probably brings up the image of your local plumber out to do home repairs. But what about the more complex tasks, in which plumbing is part of the overall planning? If you’d like to start a partnership with a local plumbing contractor for processes like draining and gas fitting, or need commercial plumbing services in the Central Coast, get in touch with our contractors at Wide Plumbing. There’s a key difference to be had between ordinary plumbers and plumbing contractors. For everyday repairs such as for leaking faucets, clogged drains, or burst pipes, having a local plumber on standby is already of great assurance. But if the plumbing services you need are geared more toward remodeling, reconstruction, or renovation, it’s time to get in touch with an experienced plumbing contractor. A plumbing contractor can take on the more complicated tasks pertaining to water supply, waste disposal, septic systems, and gas connections and flues. 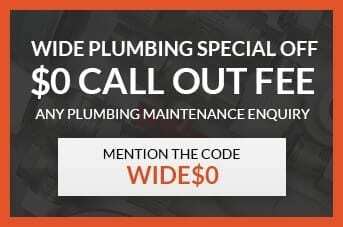 As per the government of New South Wales, a plumbing contractor is required to carry a licence before spearheading any plumbing, draining, or gas fitting work in the state, regardless of the scale and the cost of the work. We follow the law and we hold our plumbing contractors to a high standard. If you’re looking for a licensed plumbing contractor to do residential, commercial, or industrial work in the Central Coast area, get in touch with Wide Plumbing. You can trust us to supply the professionalism, experience, and best pricing range for the job. Call us at (614) 392 7731 or email us at wideplumbing@info.com to get to know the types of work we contract, and our rates per service. Our plumbing contractors oversee a number of scaled-up plumbing processes. What’s the difference between all of these processes, and what range of service can you expect from our pros at Wide Plumbing? Here’s a briefer on the processes you can get us started on. Drainers. Draining pertains to the work done by plumbing contractors on constructing, altering, connecting, maintaining, repairing, flushing, or cleansing of a building’s sanitary drains connected to a sewer. You should be able to trust your contractor with the drainage and wastewater management work. Rough-in plumbing. In homebuilding and remodeling parlance, “rough-in” pertains to construction work undertaken after the basic structure of the house is completed, and that includes plumbing work. Your contractor should oversee how the water supply and pipe connections work through the house’s frame, all before fixtures like sinks and faucets have been installed. Fit-out plumbing. Fit-out plumbing is the opposite of rough-in plumbing, in which the plumbing fixtures are installed after a new home’s lock-up stage. In this case, the plumbing contractor typically works with the home or office’s new occupant. Gas fitting. Gas fitting pertains to work done by a plumbing contractor on the home’s gas installations, flues, gas supply points, gas outlet sockets, and gas regulators. Your plumbing contractor should guarantee safe and accurate methods in working with your gas fixtures. Commercial and industrial plumbing. Commercial and industrial-level plumbing are a big scale-up from residential plumbing and home-based repairs. The plumbing system is constructed around heavier usage, and therefore demands work with higher-grade pipes and fixtures. Your plumbing contractor must have mastery over this range of work, and be familiar with the service standards for the Central Coast.